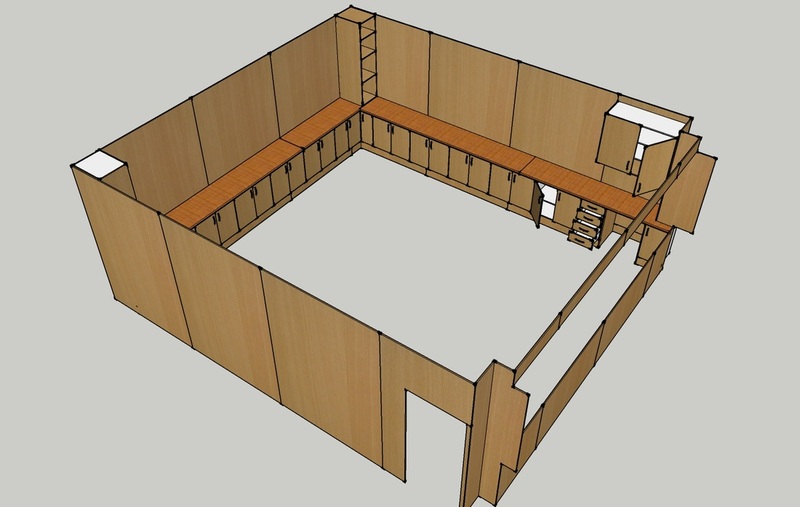 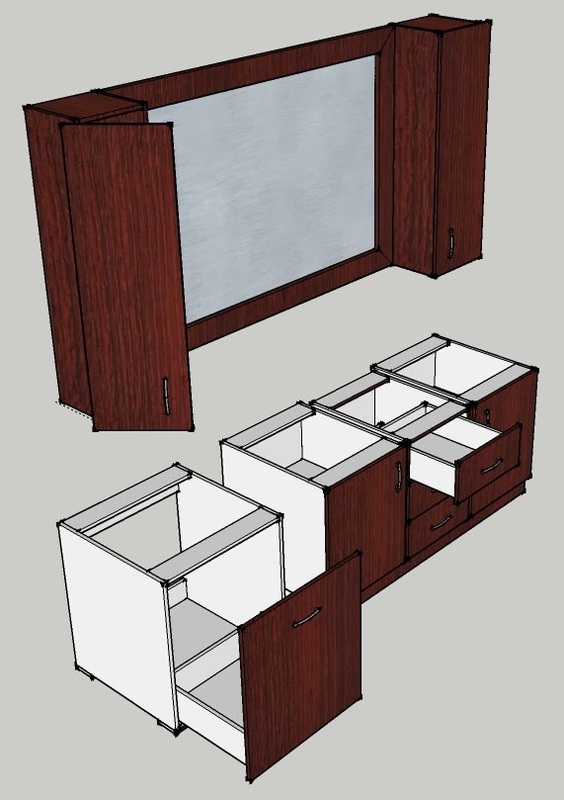 As with our Custom Design, Custom Kitchen and B-I-C projects, we provide 2D graphics of 3D scale models before work commences. 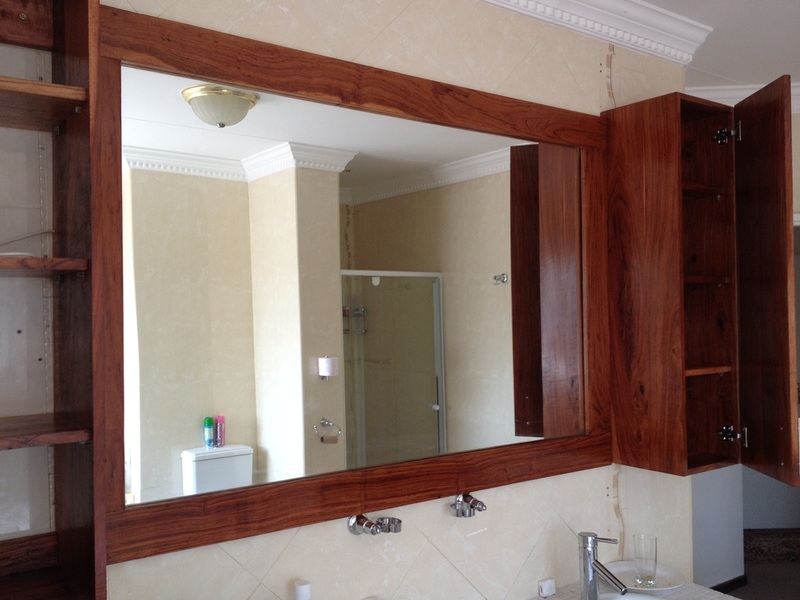 This way, you as the client can see, from almost any angle, exactly what you would be getting so that there is no disappointment later. 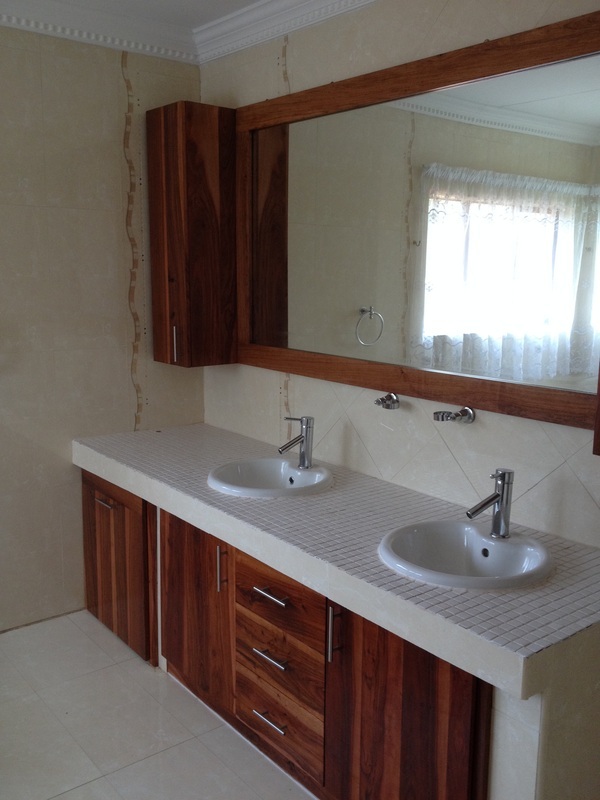 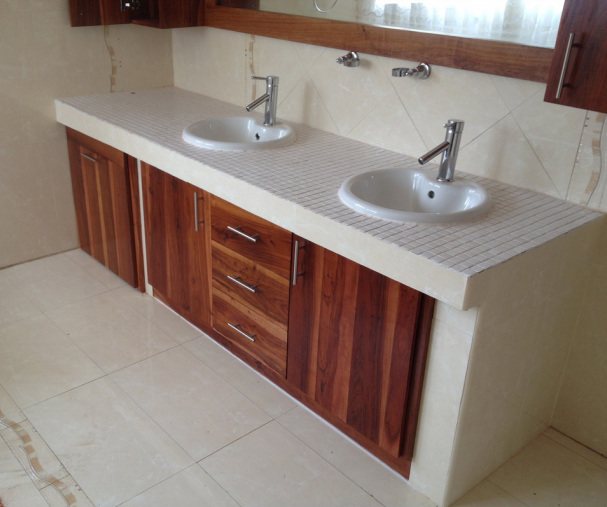 Bathroom in Waverley - European High Gloss White finish with French Oak counter tops. 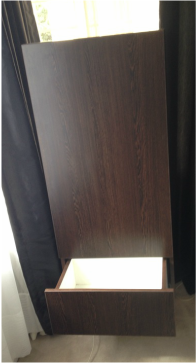 Shadow lines with soft-close hinges facilitate a zero-handle design. 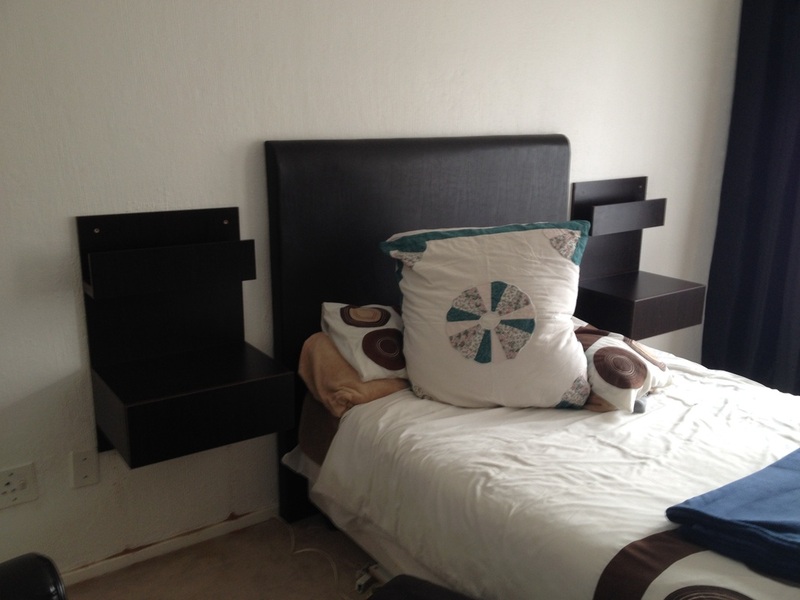 Floating Bedside Floating Drawers and Matching Mirrored Cabinet - African Wenge melamine. 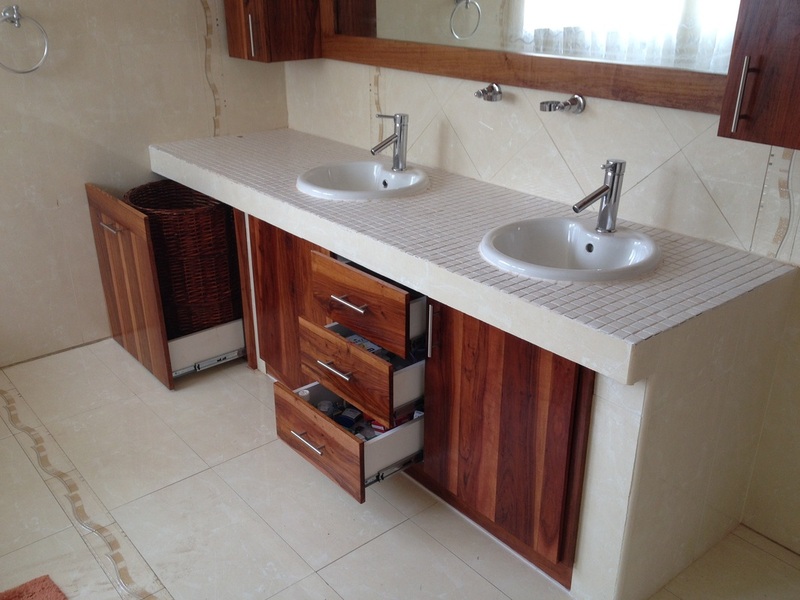 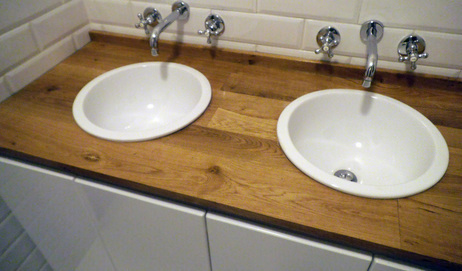 Functional use of limited space in a bathroom including laundry drawer and His & Hers cabinets. 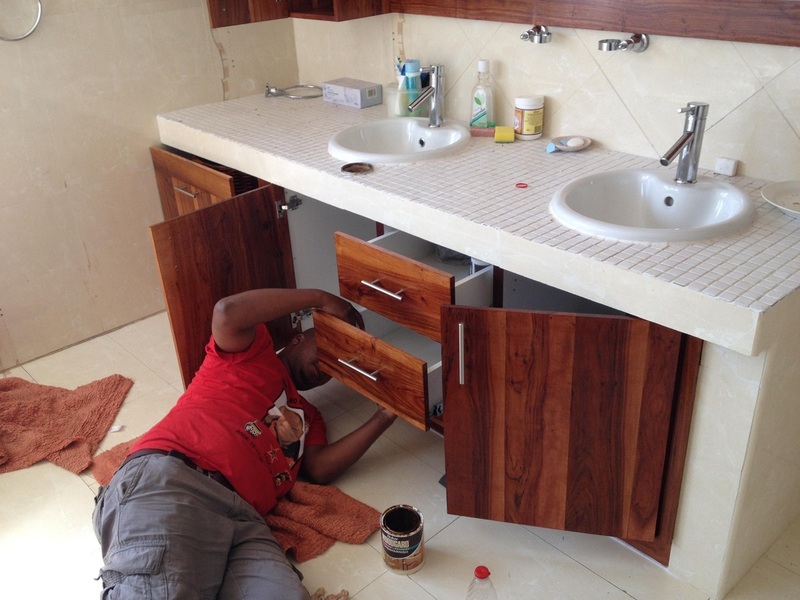 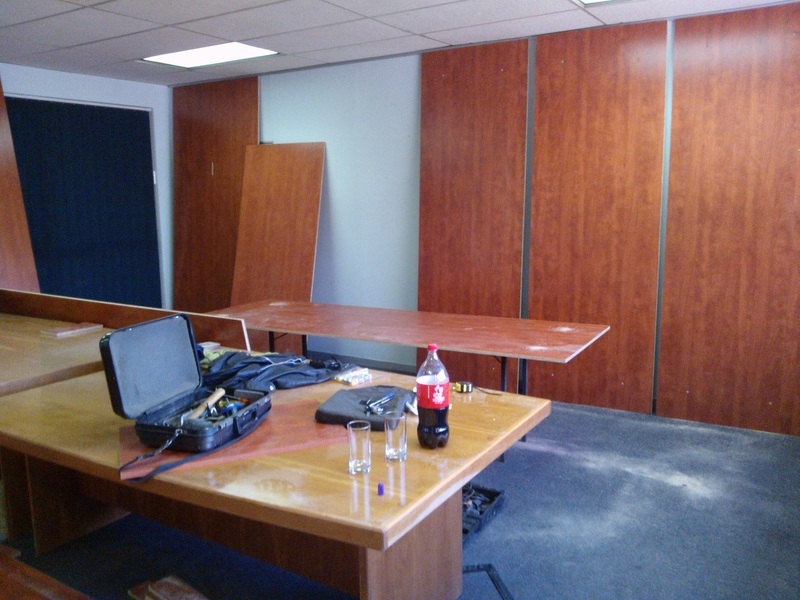 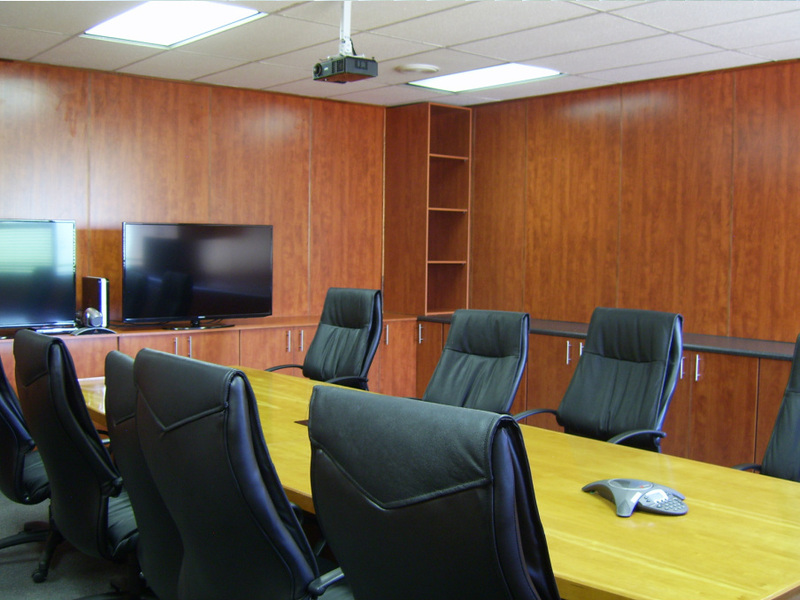 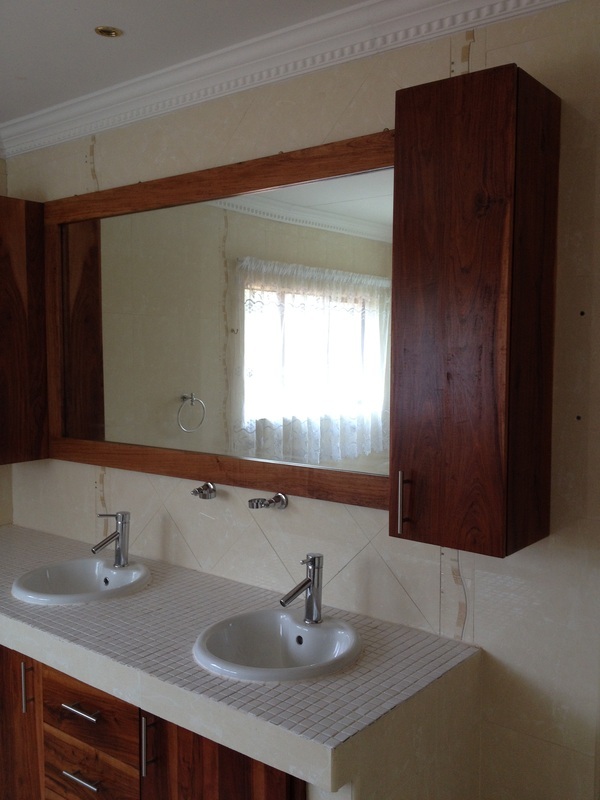 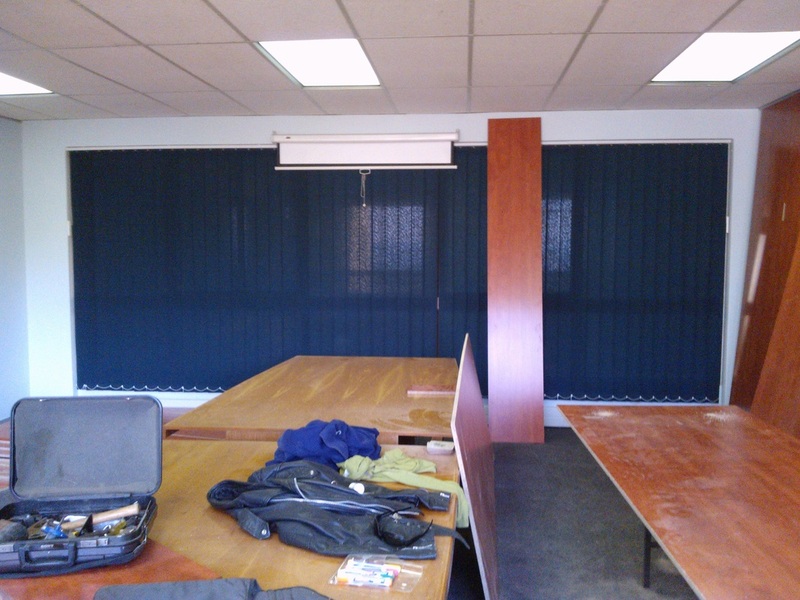 Boardroom cladding and cabinets for Efferton Group in Randburg - Royal Mahogany cladding and cabinetry. 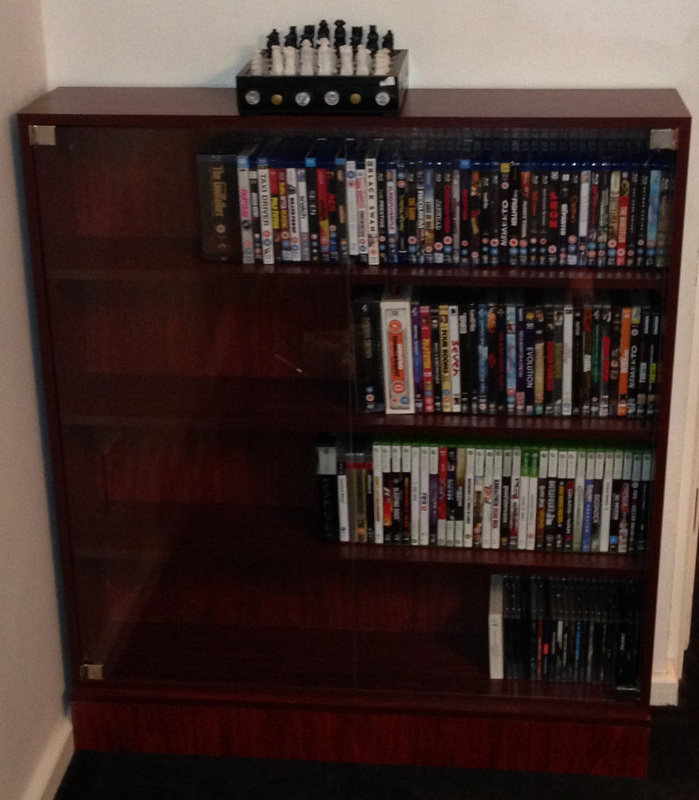 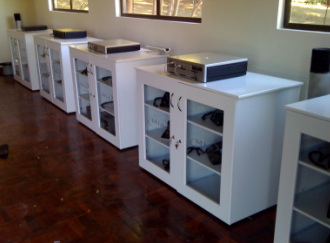 Server Cabinets - Samsung Showroom, Midrand - Duco MDF and glass. 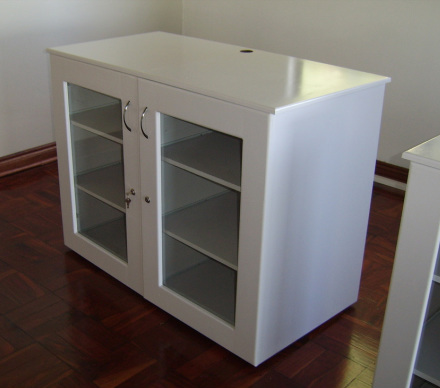 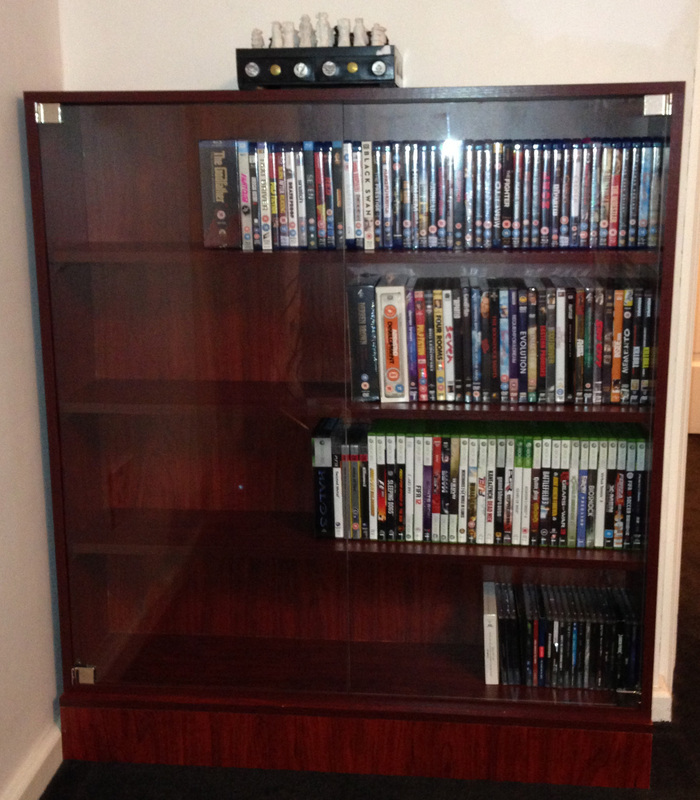 "Our heartfelt appreciation for all the effort to present us with the beautiful library bookshelves"